Direct from the film ‘NATIVITY! Rocks’, star of stage and screen Simon Lipkin will reprise the role of the hilarious ‘Mr Poppy’ after delighting critics and audiences in the show in 2017 and 2018. Simon Lipkin played ‘Nicky’ and ‘Trekkie Monster’ in the original London cast of “Avenue Q” at the Noël Coward Theatre. His other West End credits include “Guys and Dolls” at the Phoenix Theatre, ‘Lonny’ in the original London cast of “Rock of Ages” and ‘Barlow’ in “I Can’t Sing” at the London Palladium. Most recently Simon starred as the lead in the film ‘Nativity Rocks’ the fourth film in the Nativity series by Debbie Isitt. Debbie Isitt said of Simon Lipkin’s return ‘We are delighted to have Simon back in London as ‘Mr Poppy’ for a third year running. 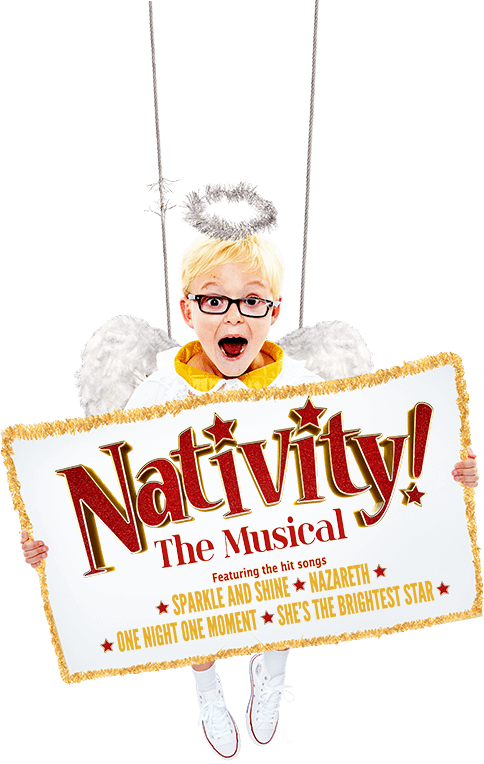 After working with him on the musical in 2017, he has gone on to star in the new Nativity movie ‘Nativity Rocks!’ I have loved every minute of working him, his talent is second to none and we are so excited to have him back with us in 2019’.